Experience luxury hotel accommodations at Park Hyatt Shanghai, with 173 oversized guestrooms including 13 residential-style suites. 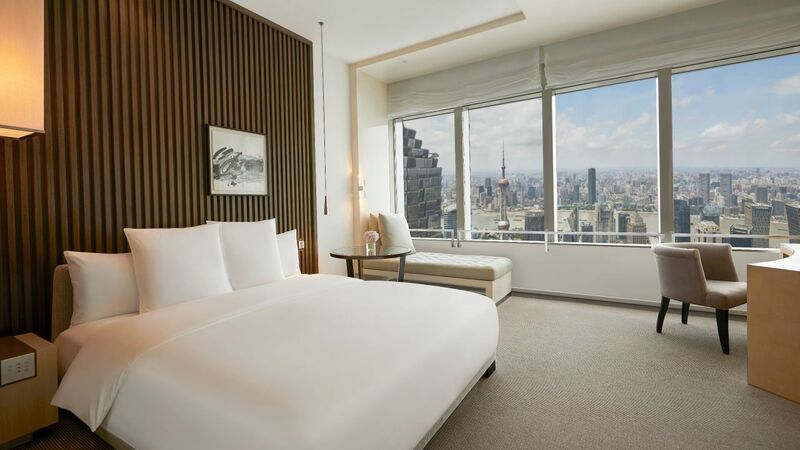 Guestrooms span floors 79 through 88 of Park Hyatt Shanghai, offering the comforts of home and breathtaking views of the Bund, the Huangpu River and Pudong. 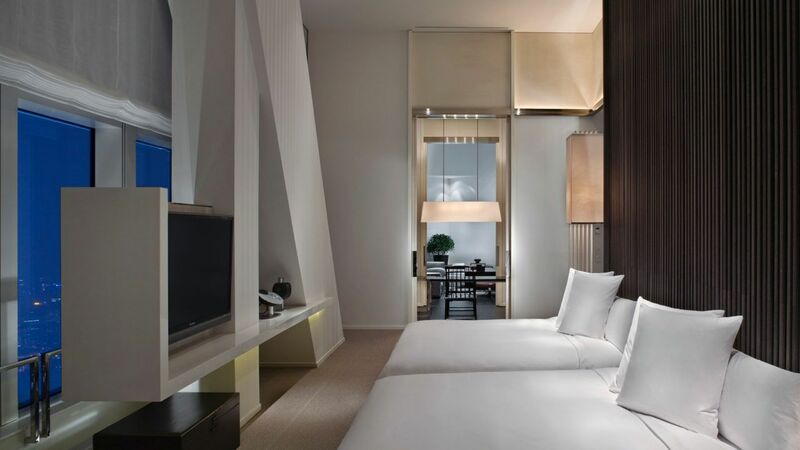 Measuring 55 to 60 square metres (592 to 646 sq ft), the standard Park Rooms at the new Park Hyatt Shanghai are one of the biggest in the city. 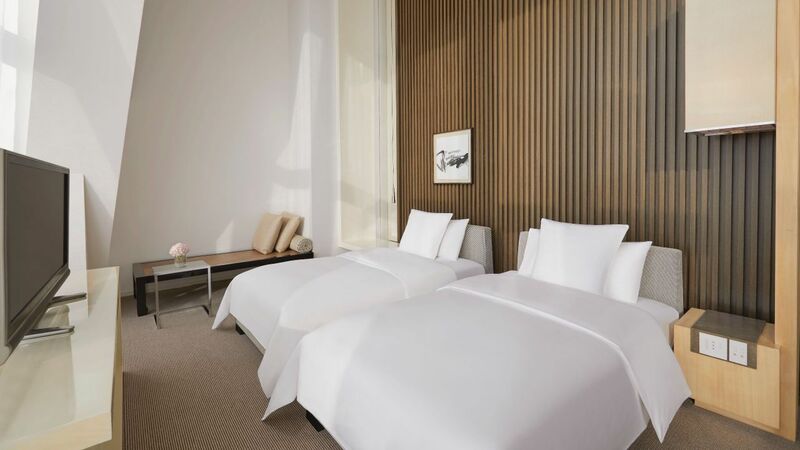 Coupled with the generous 3.1-metre ceiling height, the rooms feel particularly airy and spacious. The majority of rooms feature ‘courtyard’-style corridors, which can be closed off between two connecting rooms, creating a private area ideal for families and groups of friends. Spacious 130-sq.-metre suite includes a king bedroom and master bathroom with rain shower, deep-soaking tub and double vanity, plus separate sitting area with day bed and flat-screen TV. This modern Chinese residence features 24-hour in-room dining, in-room espresso and complimentary wireless Internet access. This is a standard suite. See World of Hyatt program terms for upgrade eligibility. The Bund View Suite offers scenic views of The Bund, surrounding landmarks and panoramic city views. Spacious 130-sq.-metre suite includes a king bedroom and master bath with a rain shower, deep-soaking tub and double vanity, plus separate sitting area with day bed and flat-screen TV. This suite type features 24-hour in-room dining, in-room espresso, large walk-in wardrobe and complimentary wireless Internet access. This is a standard suite. See World of Hyatt program terms for upgrade eligibility. Entertain in our spacious 175- to 185-sq. meter suite that includes a double-king bedroom and master bath with rain shower, plus den and separate living and dining rooms. 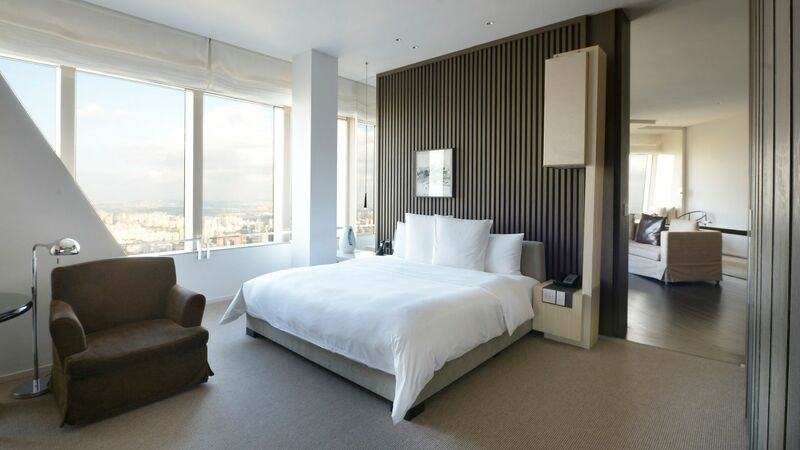 Expansive views of the Bund or Shanghai skyline complement amenities such as 24-hour in-room dining, in-room espresso machine, large flat-screen TV and wireless Internet access. This is a premium suite. See World of Hyatt program terms for upgrade eligibility. Bask in a 194-sq. meter residence that features two king beds and master bath, rain shower, plus separate living and dining rooms, den and fully equipped kitchen. Expansive views of the Bund or Shanghai skyline complement the conveniences of 24-hour in-room dining, in-room espresso machine and wireless Internet. Personal chef is available. This is a premium suite. See World of Hyatt program terms for upgrade eligibility. 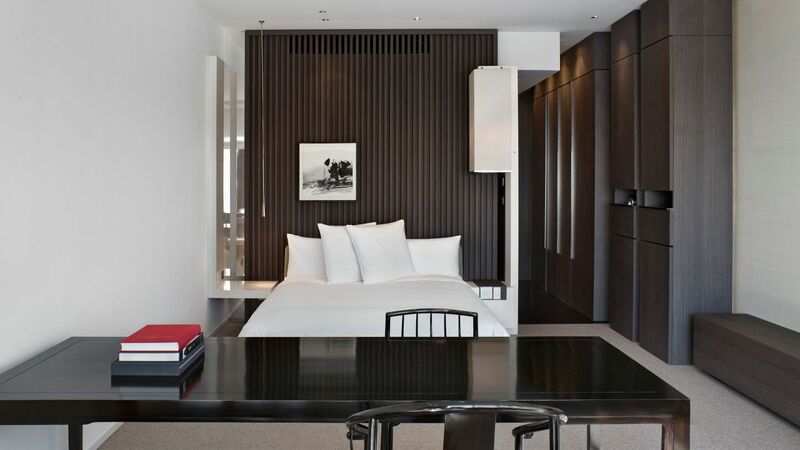 A 55-to-60-sq metre standard room offers Huangpu River or city views in the heart of Shanghai. 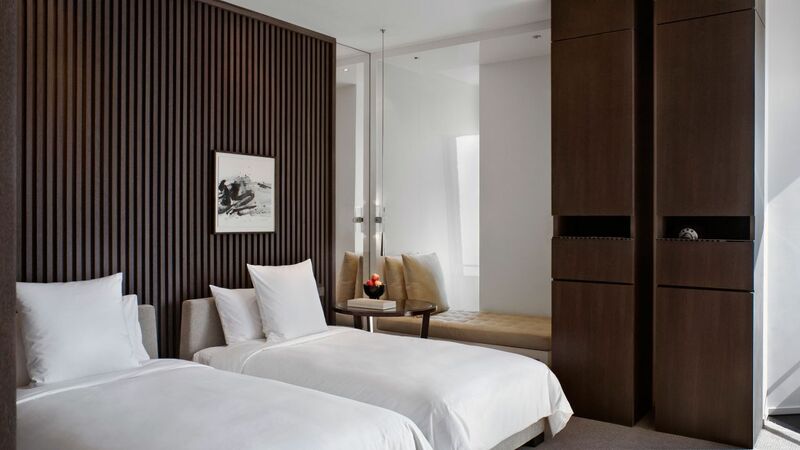 This modern Chinese residence features one king bed, day bed, deep soaking tub and deluxe bath with large rain shower. Amenities include 24-hour in-room dining, in-room espresso machine, flat-screen TV and high-speed Internet access. 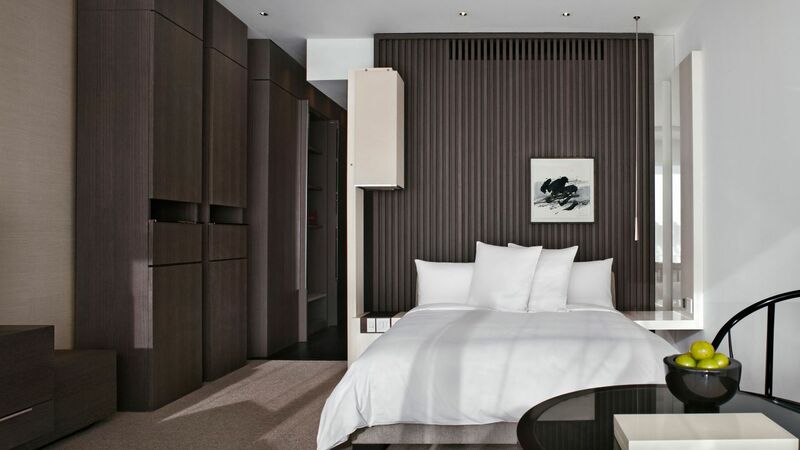 Spacious 55-to-60 sq-metre room overlooks the Huangpu River in the heart of Shanghai. This modern Chinese residence features two twin beds, and deluxe bath with large rain shower, and deep soaking tub. Amenities include 24-hour in-room dining, in-room espresso machine, flat-screen TV and high-speed Internet access. 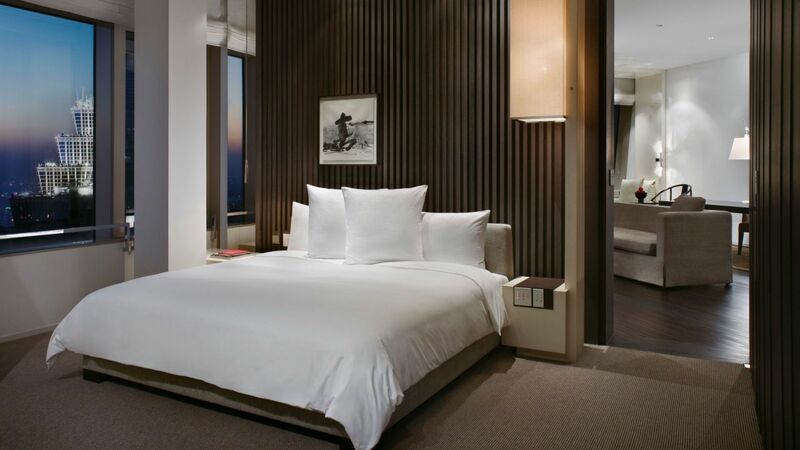 A spacious 55-to-60 sq metre room of this prestigious river view hotel offers expansive Bund views in the heart of Shanghai. This modern Chinese residence features one king bed, day bed, and deluxe bath with large rain shower, and deep soaking tub. Amenities include 24-hour in-room dining, in-room espresso machine, flat-screen TV and complimentary wireless Internet access. A 66 to 80-sq. 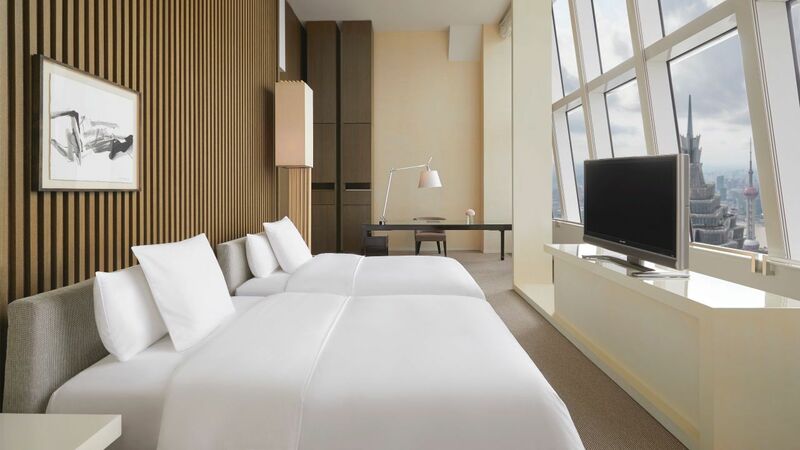 metre deluxe room offers expansive city skyline or Huangpu River views, plus modern interiors that include one plush king bed, day bed, architect table and deluxe bathroom with rain shower, and deep soaking tub. Our 24-hour in-room dining, in-room espresso machine and complimentary wireless Internet provide convenience. A 66 to 80-sq. 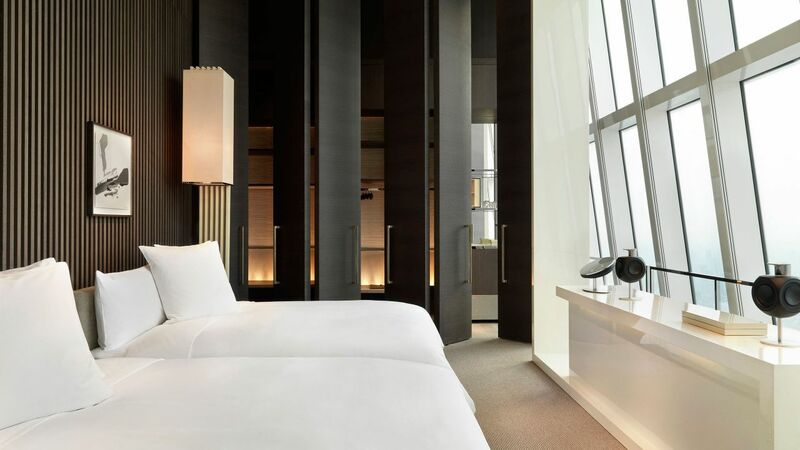 metre room offers expansive Huangpu River views, plus modern interiors that include two plush twin beds, day bed, architect table and deluxe bath with rain shower, and deep soaking tub. Our 24-hour in-room dining, in-room espresso machine and complimentary wireless Internet provide convenience. A 66 to 80-sq. metre room offers expansive Bund views, plus modern interiors that include one plush king bed, day bed, architect table and deluxe bath with rain shower, and deep soaking tub. Our 24-hour in-room dining, in-room espresso machine and complimentary wireless Internet provide convenience. A 60 to 80-sq. metre room offers expansive Bund views, plus modern interiors that include two plush twin beds, day bed, architect table and deluxe bath with rain shower, and deep soaking tub. Our 24-hour in-room dining, in-room espresso machine and complimentary wireless Internet provide convenience. 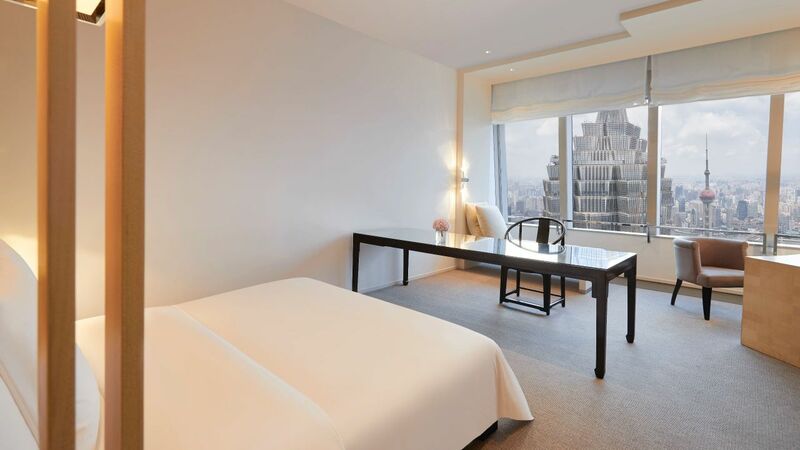 This modern spacious 55 to 60 sq metre room offers views of the famous Huangpu River. 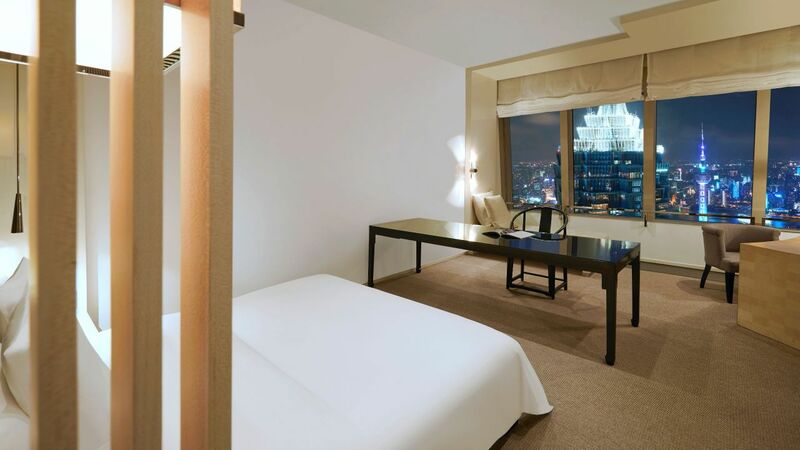 Enjoy views of the Oriental Pearl Tower from the comfort of your luxurious room. This room features one king bed, day bed and deluxe bath with rain shower and deep soaking tub. Amenities include 24-hour in-room dining, in-room espresso machine, flat-screen TV and complimentary wireless Internet access.